Home > Craft & Cork > Wine > Albertans can now Ferment on Premise! Crafting your own wine in Alberta just got easier! As of October 2018, Alberta liquor laws were updated and Ferment On Premise has become legal. Retailers across the province are renovating their stores into custom wineries to assist consumers in crafting their own wine. Retailers will put you in the creators seat, providing you with the ingredients, equipment, and advice needed to make personalized beer, wine, and cider you can be proud of and share with family and friends. How easy is it to craft my own wine? So easy! And retailers are there to guide you through every step! What does FOP in Alberta mean for you? As a consumer, you can go to a retail store where staff will guide you through everything you need to do to craft your own wine in their custom winery! Why should I craft my own wine? It’s convenient – crafting your own wine and keeping your cellar stocked, you’ll always have bottles on hand! It’s eco-friendly– reusing your wine bottles reduces the amount of glass that needs to be produced for wine consumption. It’s fun– craft winemaking is a unique experience that’s stress free. You have the opportunity to make wine how you like it. Plus you’ll have fun learning about the winemaking process! 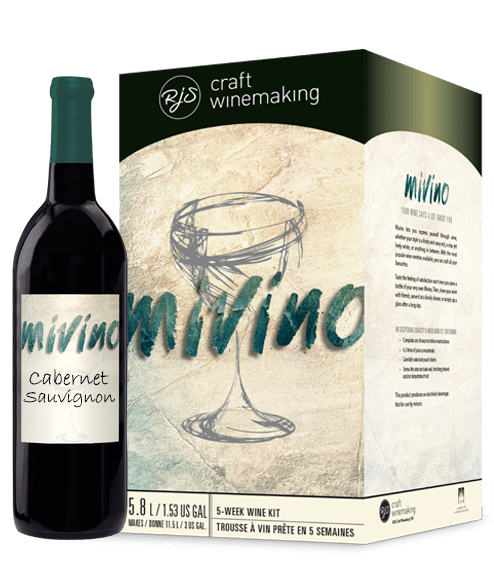 It’s easy – RJS Craft Winemaking Academy Retailers guide you through the process! How much wine do I make? Standard batch size is approximately 30 – 750ml bottles. However, options to make a half batch of 15 bottles are available.